A celebration of the Garifuna culture and music. Events take place over the weekend from Friday through Sunday. 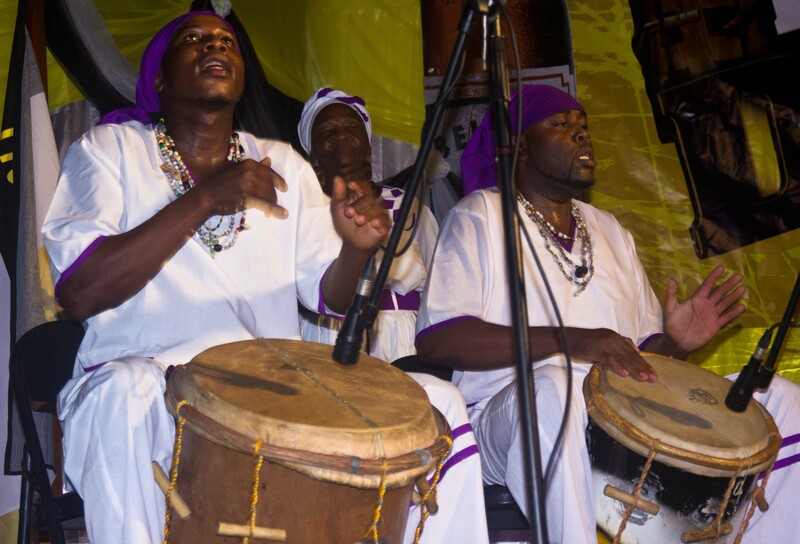 Friday night is a celebration of Garifuna food and music. The Battle of the Drums takes place on Saturday evening and includes seven drumming groups from Belize, Honduras and Guatemala. The competition is followed by an all-night bash from midnight until six in the morning. The package offers guests the opportunity to take the first steps in Garifuna rhythms with a two-hour drumming lesson at Warasa Garifuna Drum school followed by a visit to the waterfalls at Rio Blanco National Park. This 5 day/4 night package includes, accommodation, all meals, transport to and from Punt Gorda, free amenities include nature trails, swimming pool, kayaking and river tubing, all taxes and service charge of 10% on meals and accommodation. Entrance fees to sites and home visits, bar sales, guide gratuities, and flights are excluded. Estimate US$60 for entrance fees.